Very well presented trailerable cruiser on a dual axle Mackay Trailer. 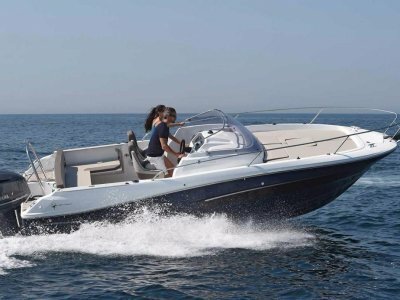 Equipped with a reliable and economical Mercruiser 5.0 L MPI V8 ((270 hours) and a Bravo 2 leg. Please note : Engine has just had full service and maintenance upgrades, mechanical report available on request. 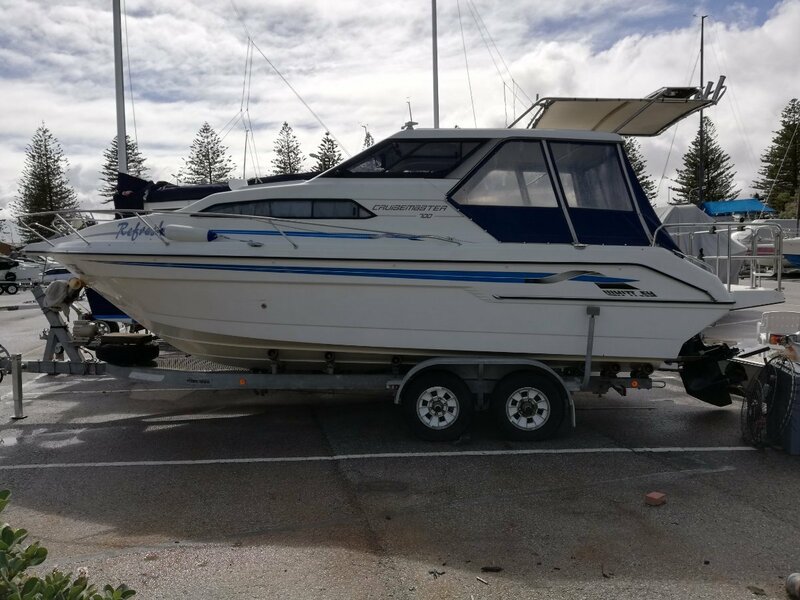 Features : Nice size marlin board with fence, large galley, 2 x tables offering variable dining positions, sunroof, fuul storage and cruising covers/clears, hot and cold shower in head, shorepower and more. 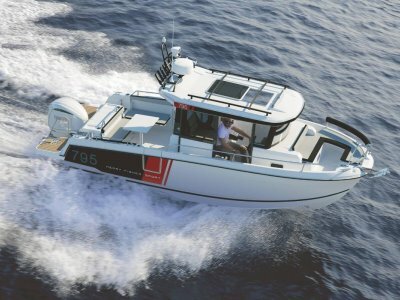 Equipment : Lowrance LGC12 sonar/chartplotter/GPS, GME 27 meg radio, GME VHF radio, GME sound system, C-tek battery management/charger, Digital TV, electric windlass and more. 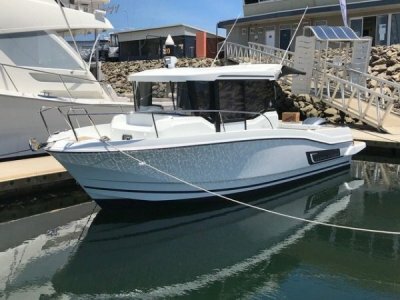 This boat is huge value at only $54,900 ! with trailer hardstanding, it offers low operating costs and easy relocation. 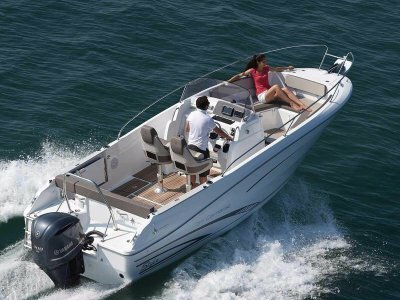 New Jeanneau, Glastron, Cygnet 20TS, Sirocco Inflatables and Torqeedo electric engines.